Will the champion of the 2nd Bundesliga keep their place in the top league? Learn more in the Bundesliga 2018/19 Team analysis Fortuna Dusseldorf. Fortuna Dusseldorf were promoted from the 2nd Bundesliga last season, thus clearly demonstrating that they could produce great achievements with very limited resources. Last year, teams such as Bochum, Ingolstadt or Union Berlin were higher rated and were favourites for promotion. However, the great demands placed on these other teams led to internal quarrels, not so with the Fortuna from Dusseldorf. The entire club focused on team unity, and this was rewarded with the championship title in the heated decision-making phase. Translating this into practical terms: Fortuna will rely on solid defensive work and above all try to shore up the back. Anyone who has followed Friedhelm Funkel’s work for any length of time should also realize that Fortuna will probably not win any prizes for fair play in the Bundesliga. All that matters is staying up, the media experts can cough and splutter as much as they like. Good defensive organization, outstanding fitness and teamwork are the keys to survival for Fortuna. This was already clear in the pre-season, in which training focused on two main things points: pass paths and the immediate backward movement after losing the ball – for Funkel these are the two factors which will make or break Fortuna in the fight to stay in the league. In terms of players, here is what you need to know. Fortuna Dusseldorf has had to go easy on the transfers, so far Fortuna has so far spent less than 5 million euros on each of their 8 new players (Aymen Barkok, Marvin Ducksch, Kevin Stoeger, Diego Contento, Kenan Karaman, Alfredo Morales, Jean Zimmer and Benito Raman). Altogether they have used a transfer budget of approximately 30 million euros. This number is also interesting because Mainz 05 is another team which is fighting to keep its place in the league and they have just sold Abdou Diallo to BVB for a hefty 28 million euros, meaning that their available transfer funds are almost the same as Fortuna’s entire annual transfer budget. It was winger Takashi Usami, on loan from FC Augsburg, who played really strongly in the promotion season. With 8 goals and 3 assists, the man from Japan was one of the guarantors of success and was also allowed to play in 2 games for the strong Japanese team at the World Cup. He is still lacking in fitness after the World Cup, and in an interview he also revealed another core of Fortuna’s strategy. From a fantasy football point of view, there are no stars in the team, but the defensive game system and the expected low prices could mean that fantasy managers could pick up a few bargains for their teams. 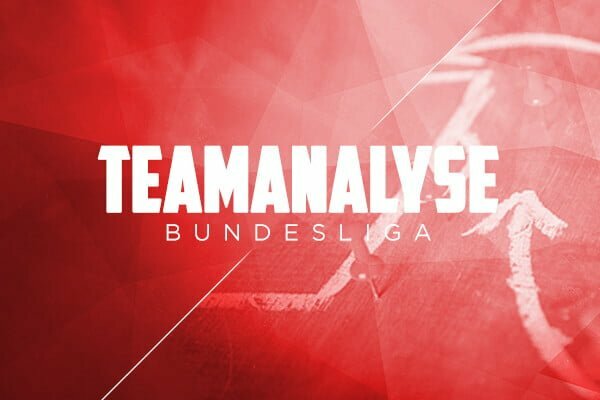 The Bundesliga 2018/19: Team analysis Fortuna Düsseldorf has shown how the Fortunas intend to make sure that they stay in the league. Physical fitness and defensive play should compensate for deficiencies in their game and hence secure their place in the Bundesliga next season. We look forward to your comments. Check out the Community Forum, the 11Heroes Twitter Channel and our Discord Fantasy Football Community to see all the latest updates and tips for the Bundesliga fantasy tournaments. Friedhelm Funkel is the F95 trainer. In his playing days, he was on the pitch for over 1000 games and is now considered a veteran coach, making him one of the most recognizable faces in German football.